Princess Leia is a the daughter of SCF Chewbacca. SCF Chewbacca is a stunning Dark Fawn male and his show record backed that up. His Dam hails from the legendary Hemingway line and his Sire is the son of Peruvian Accoyo Leon. Chewbacca’s fleece has incredible locking staples, is extremely fine (his 2004 Micron was 15.4), has incredible luster and remarkable density for a fleece this fine. To find these very low micron fibers in such a dense fleece is exceptional. 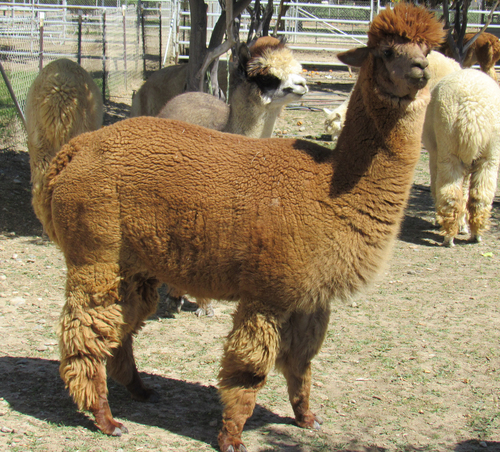 Eureeka is a nice medium brown daughter out of our Multi Champion RKA Golden Nugget. 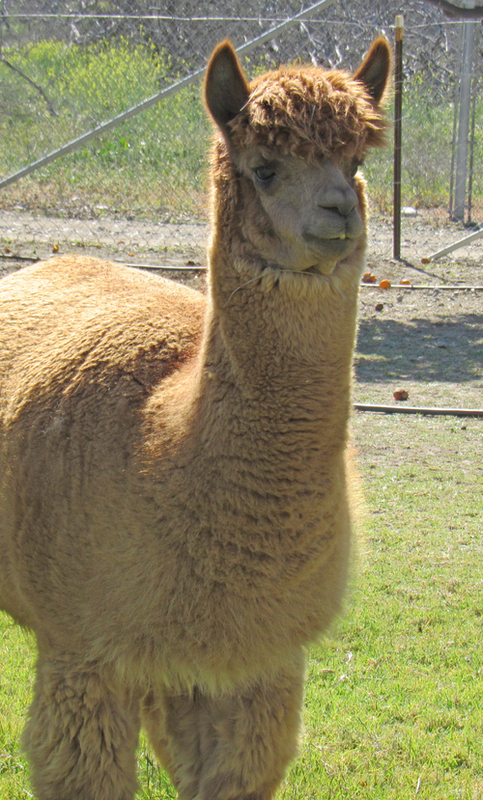 Nugget's fleece is very dense and crimpy with a wonderful handle. 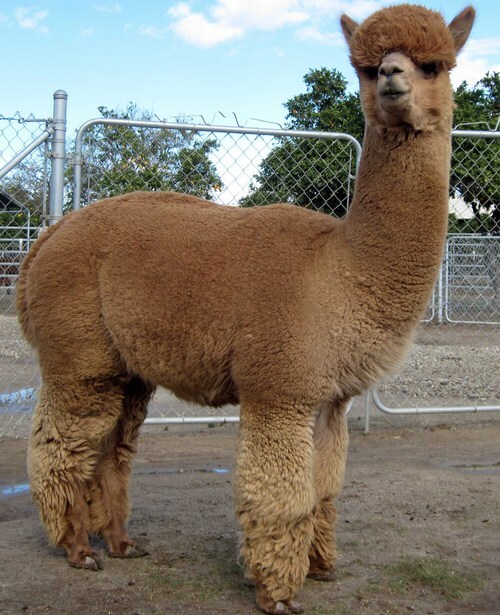 His greatest achievement was winning Fawn Color Champion at the International Alpaca Odyssey where he competed in the Commercial Class against some of the greatest breeders in the business! 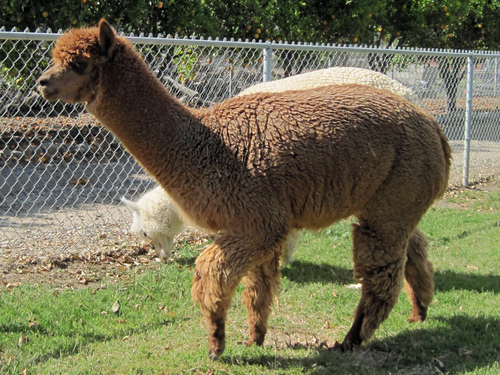 Nugget passes on his best fiber characteristics in his cria and Eureeka is no exception. Due to overcrowding, our breeding program has been on hold for a number of years, so we have never bred Eureeka. 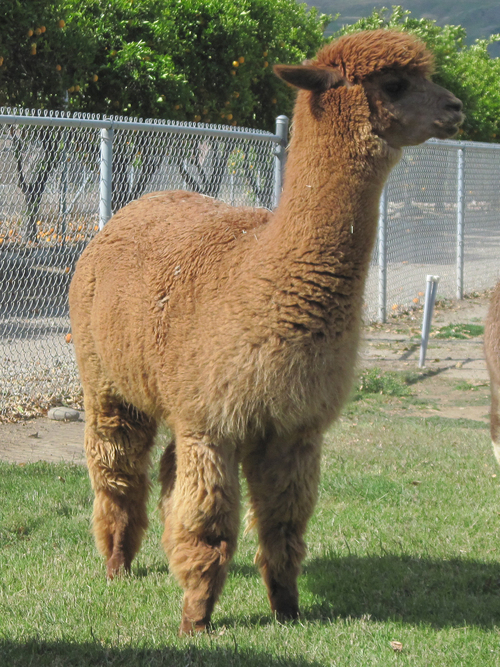 Given an opportunity to breed, I have no doubt that Eureeka will produce strong, healthy cria in the future. Fiber sample available on request or come to the ranch and see her in person!